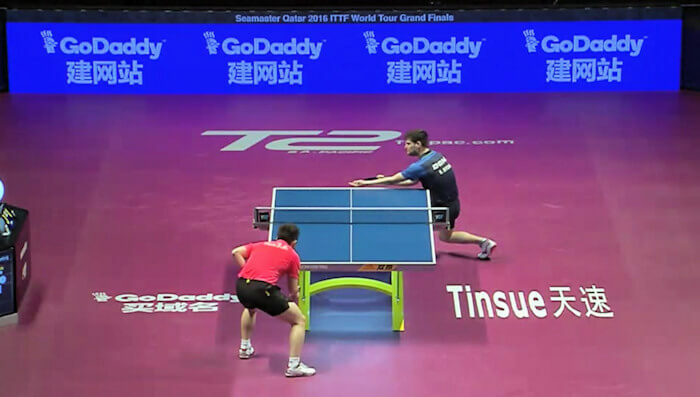 So how does the 2016 ITTF World Tour work? So how does it work in 2016? 2016 saw 20 events within the ITTF World Tour. The top rated events were called the Super Series, followed by the Major Series plus the challenge series in Euro-Africa, the Americas, Asia and Oceania. There were 6 Super Series events, 6 Major Series events plus 8 Challenge Series events. 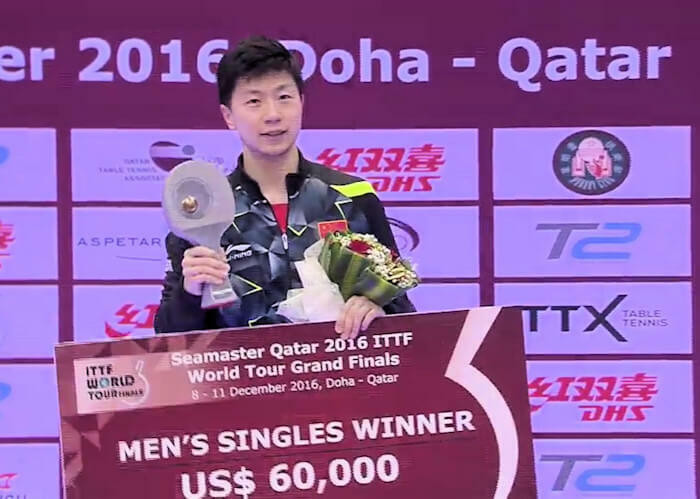 The prize money for the ITTF World Tour 2016 was substantial. The total prize fund was over $2,000,000 with the Grand Finals worth $500,000. Each Super Series event must offer a minimum prize fund of $120,000, whilst in the Major Series it's a minimum prize fund of $70,000, and $35,000 for the Challenger Series. The winner of an event in a Challenger Series gained 100 points, whilst in the Major Series it was 200 points and in the Super Series 500 points. 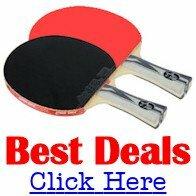 The ITTF will also invite one man and one woman from the association hosting the 2016 World Tour Grand Finals if they have competed in at least 5 tournaments. The ITTF will also invite one man and one woman doubles pair from the association hosting the 2016 World Tour Grand Finals if they have competed in at least 4 tournaments. The ITTF will also invite one man and one woman from the association hosting the 2016 World Tour Grand Finals. 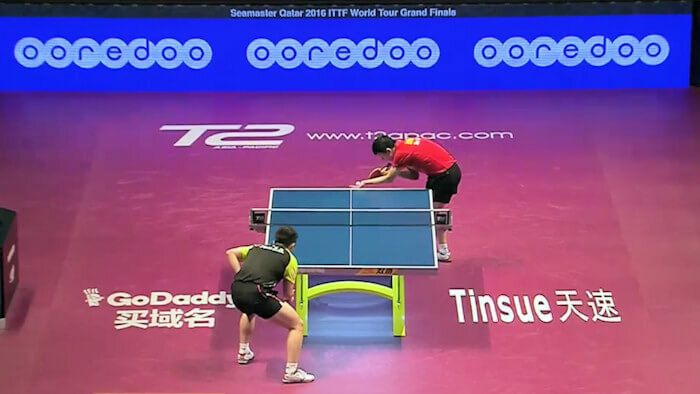 The Seamaster Qatar ITTF World Tour Grand Finals were held from 15-18 December 2016 in Doha, Qatar. Here is the list of the men who accumulated sufficient Grand Prix points and met the additional qualifying criteria of competing in at least five events (tournaments) and were therefore invited to take part in the 2016 Grand Finals men's singles event. 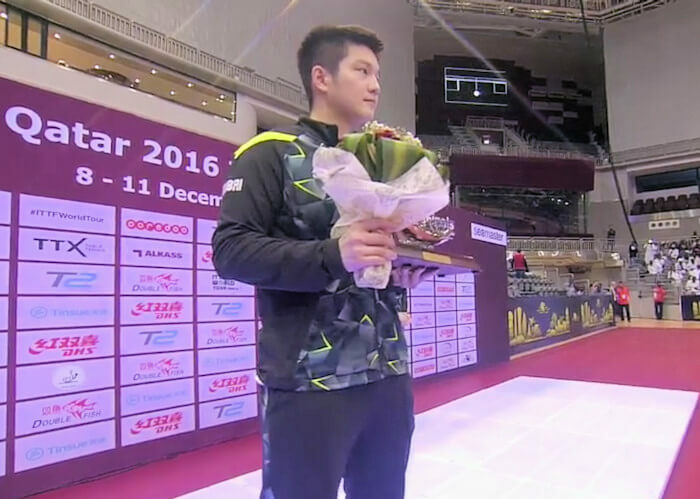 Fang Bo did not play in sufficient events. Zhang Jike withdrew injured (foot injury). The draw was made on 7 December 2016 at 15:00 hours.